If you have bath towels that aren't getting enough use, why not turn them into cute pillowcases? It's really easy to do as long as you have a sewing machine that can accommodate heavy duty fabric. In this craft, you'll use two different stitch settings on the machine to perfectly secure the edges of the towel to create the pillowcase. The feeling of terrycloth under your head is plush and relaxing. These fun pillowcases look amazing in your guest room. You could also use them as unique couch cushions. It's the kind of craft you look twice at and wonder, "Why didn't I think to make that sooner?" 1. 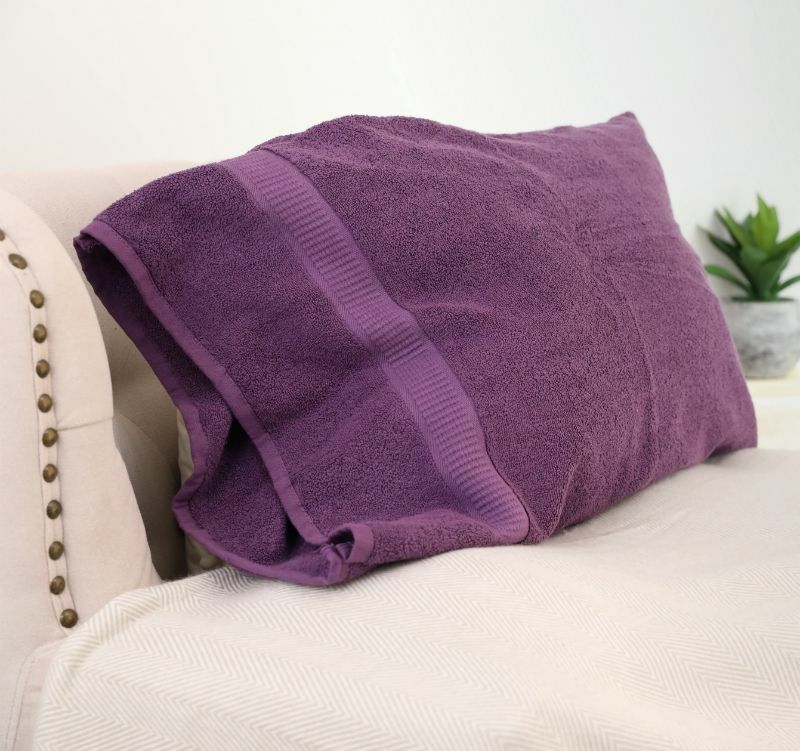 Lay your bath towel flat on your work surface. 2. Measure two 32-inch-by-21-inch rectangles. You can use a measuring tape for the length, then a ruler for the width to get it precise. Draw a line with white chalk to mark out the rectangles. 3. Use scissors to cut out the two rectangles. 4. Place the two pieces on top of one another. Pin the edges together. Make sure you pin along both long edges and one short edge. Leave the other edge open as you would for a pillowcase. 5. Use your sewing machine to straight stitch the pinned edges. 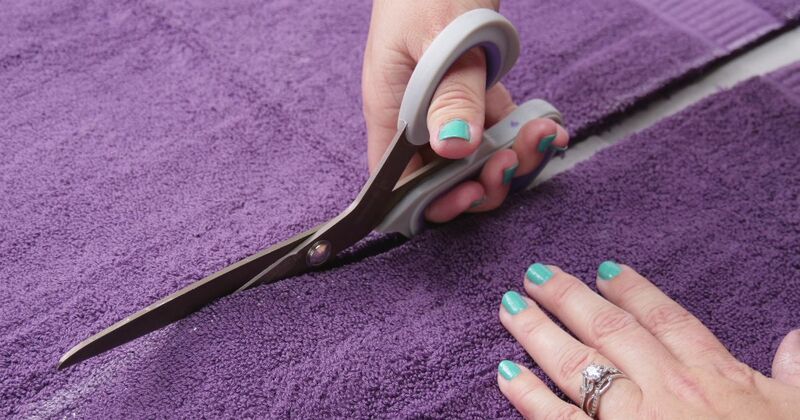 Towels are thick, so you'll want to set the machine to accommodate that thickness. Cut off any loose thread. 6. Remove the pins from the pillowcase. 7. Add a second set of seams by changing your sewing machine setting to the "zig zag" stitch. Stitch inside the existing straight-stitch seams. 8. Use scissors to make a small diagonal cut on each of the two corners where the long seams meet the short seam (opposite the open end of the pillowcase). 9. Turn the pillowcase inside out. Use your fingers to poke the corners out. 10. Your towel pillowcase is ready for use. Share this unique craft idea on Facebook.